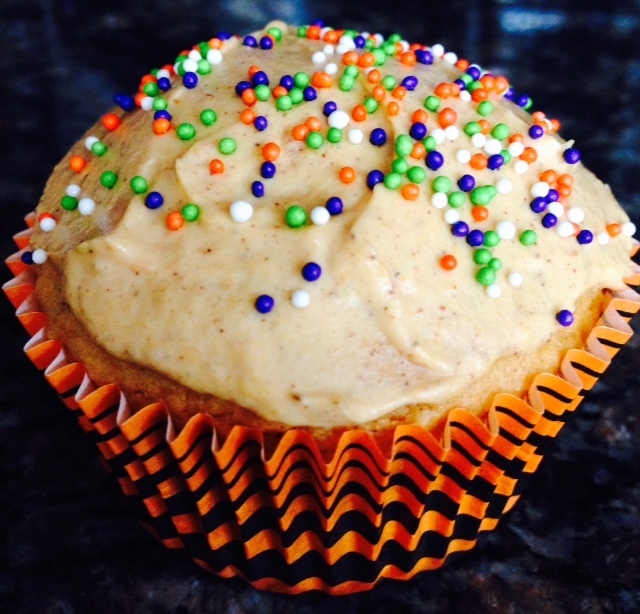 I was looking for a healthier version of pumpkin cupcakes with a lighter cream cheese frosting to take to a Halloween party and found this recipe that I adapted from Gina’s Skinny Recipes . I modified it a bit for taste but overall they were delicious and super easy to make! I loved that there was no eggs or oil in this recipe to save on the saturated fat most recipes like this call for. Preheat oven to 350 degrees. Line a cupcake tin with 16 cupcake wrappers. For the frosting, combine the cream cheese, pumpkin, vanilla, cinnamon, pumpkin pie spice and brown sugar until smooth. You can use a spatula to ice the cupcakes or pipe them which may require making more frosting. If you do not pipe them then there will be a ton of icing left over. Use the left overs as pumpkin cream cheese on your bagel in the morning – makes a delicious seasonal treat!! 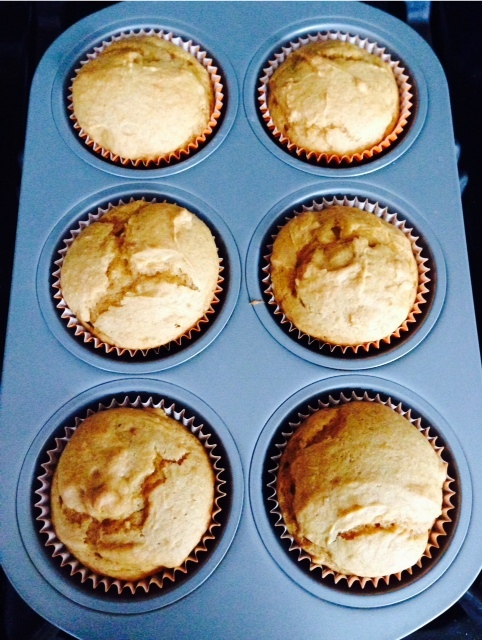 *Gluten Free option can be done by substituting the Betty Crocker cake mix with a Vanilla Gluten-Free cake mix.